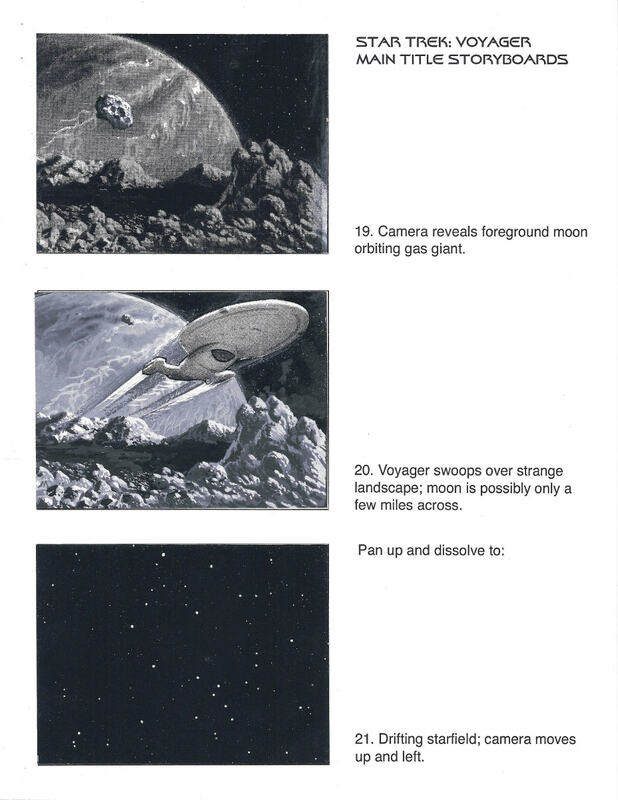 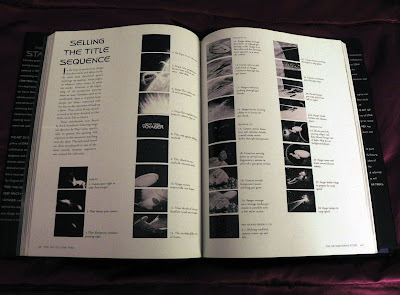 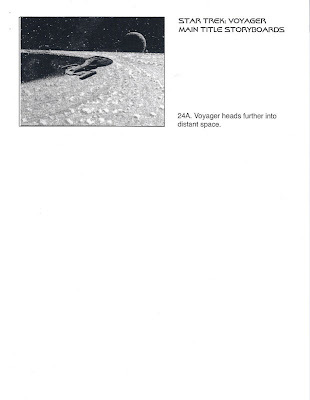 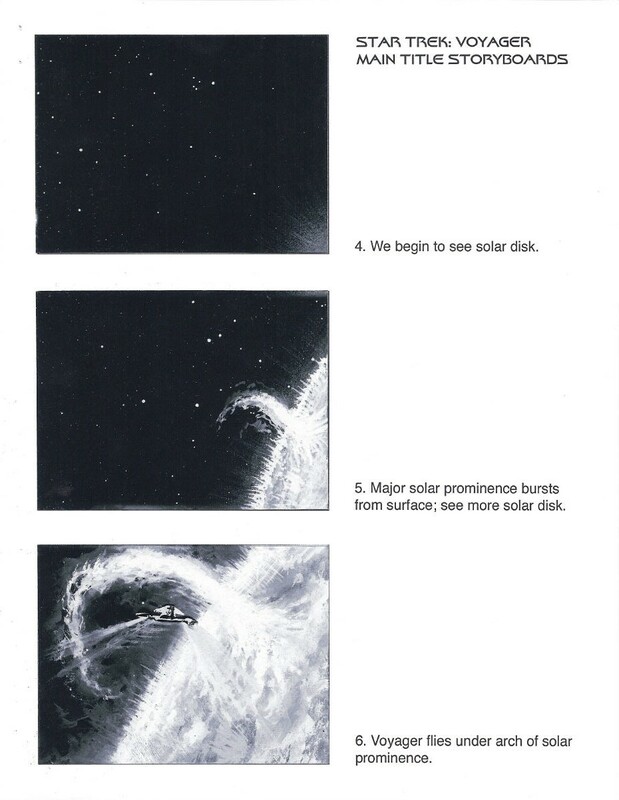 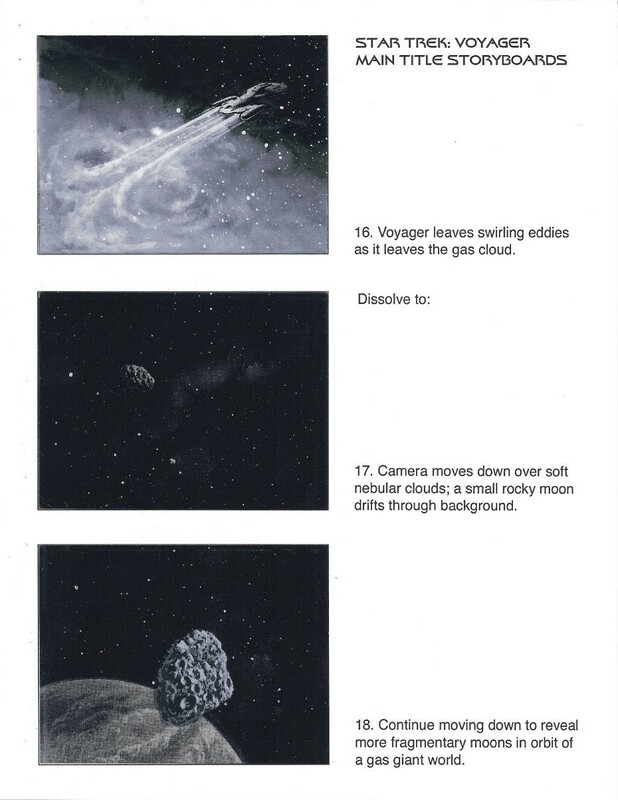 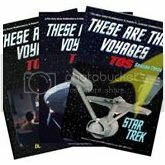 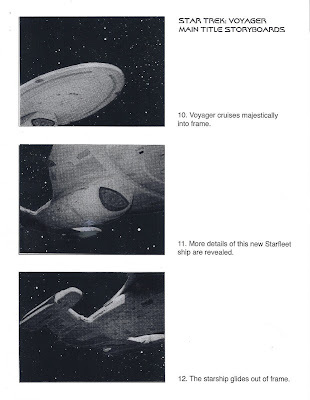 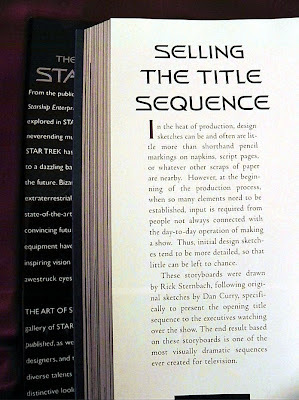 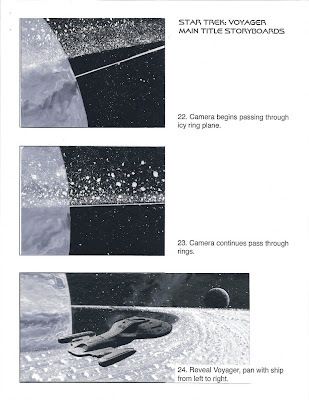 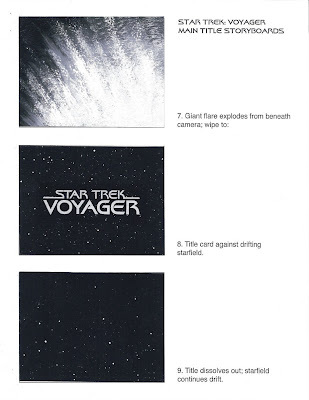 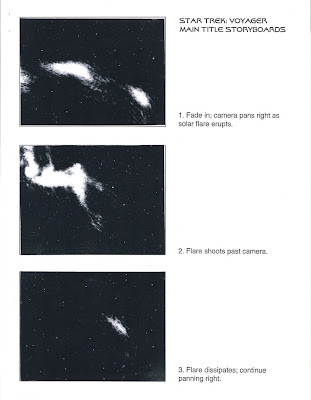 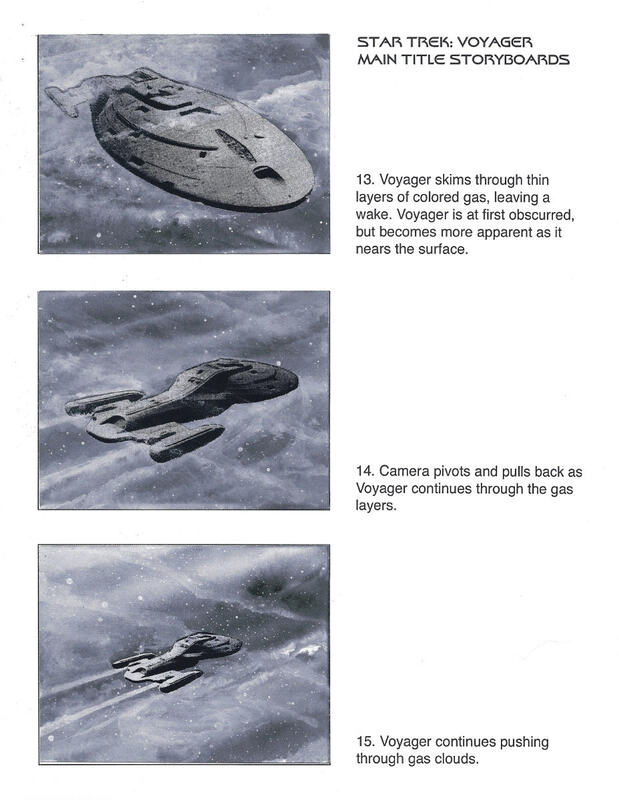 Presented below is a set of Main Title Storyboards created by Star Trek: Voyager Senior Illustrator Rick Sternbach to help gain concept approval for the highly memorable and breathtakingly beautiful opening sequence of the series. 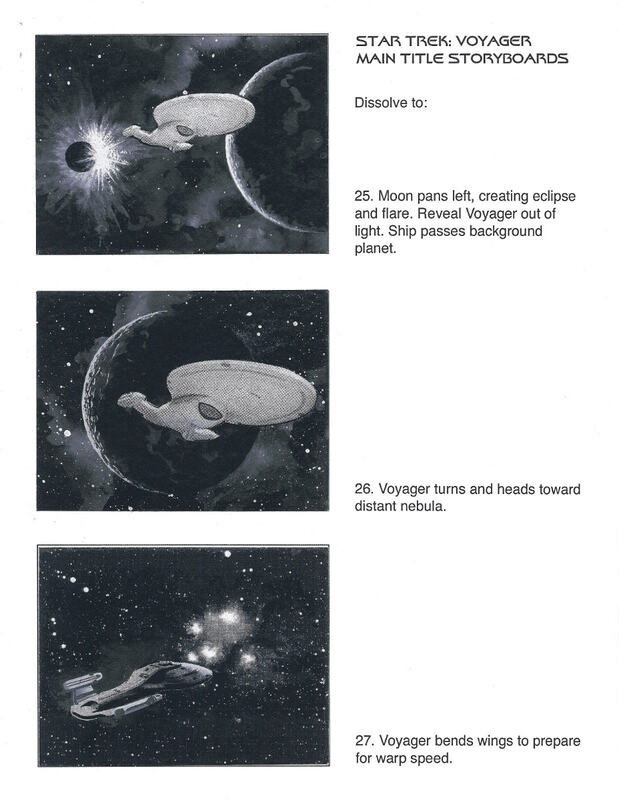 This artwork is featured in "The Art of Star Trek" by Judith and Garfield Reeves-Stevens (Pocket Books, November, 1995); where the end product based on these images is referred to as "one of the most visually dramatic sequences ever created for television". 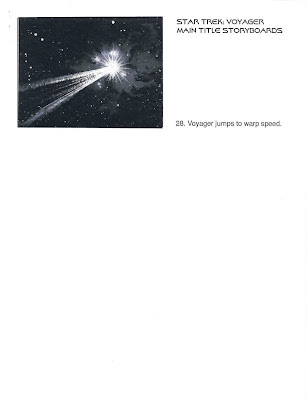 The video itself is presented at the end of this post.